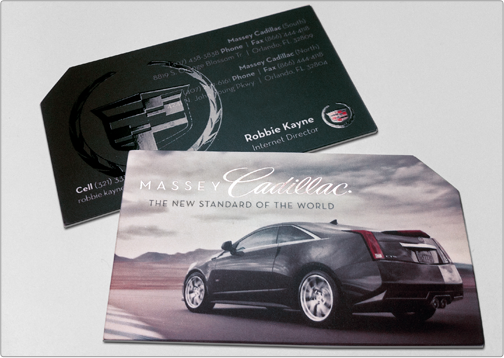 This Cadillac business card provides class through a variety of custom options. Foil, spot gloss, and a slight die-cut all play apart within this Silk Cards design. 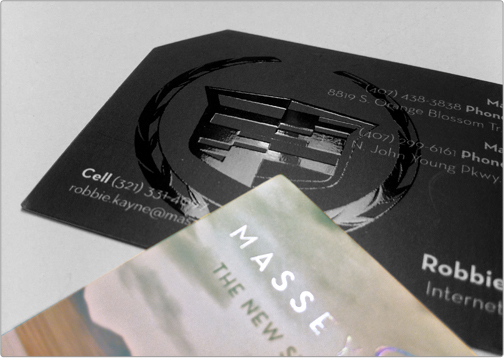 The front type of the business card incorporates rainbow silver foil for the company and brand name. The rainbow foil looks quite picturesque displayed over the cloudy sky. 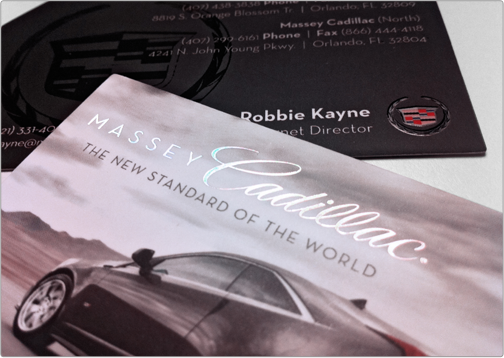 On the back of the business card, the Cadillac logo is used for a subtle and classy spot gloss highlight.